School days can be busy. Between school, after school activities and evening extra curricular activities, finding time to make meals can be tough. 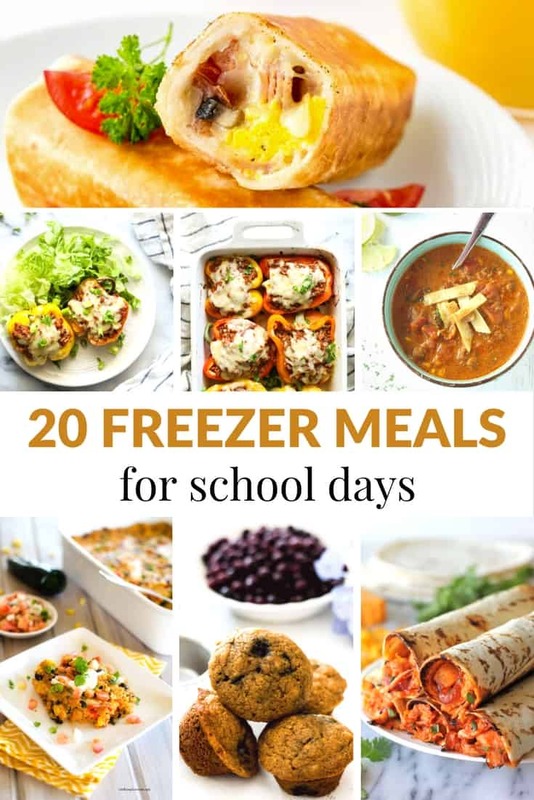 These 20 freezer friendly meals are perfect for crazy school days whether you are looking for a breakfast, lunch or supper idea. this recipe freezes great in tin foil pans and is a perfect addition to spaghetti. these muffins made in mini muffin tins are the perfect portable snack and are great because they can be stored in the freezer. these make ahead breakfast burritos will save time on a busy school day. Perfect for breakfast, lunch or supper. this recipe calls for simple ingredients and is super easy to put together. Freeze or serve the same day. filled with BBQ chicken and pineapple, these taquitos make a great lunch idea or light snack. this chili is a great crock pot dump and go supper idea and the best part is, it tastes even better as leftovers the next day! great if you want to feed a crowd, these rolls stuffed with zucchini, ricotta, and parmesan will be a kid favorite! don’t buy the frozen meatballs from the store when you can make your own! 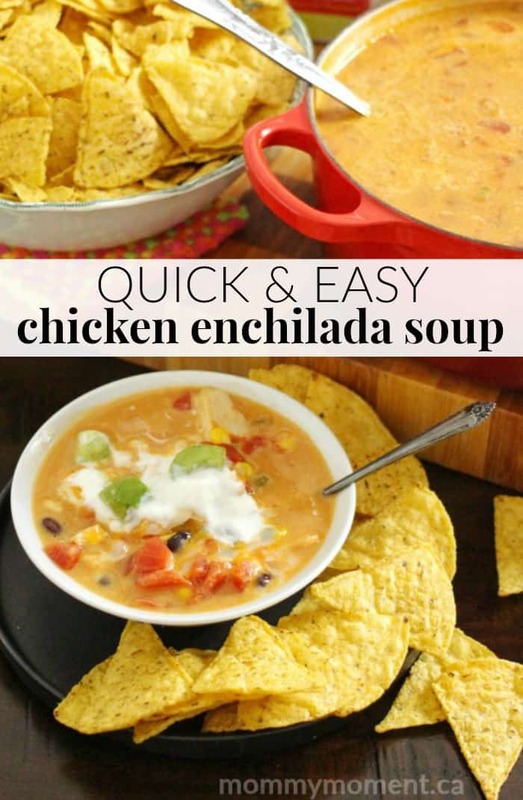 Perfect to have in the freezer for those nights when you need a quick meal. here is a lightened up version of a favorite meal. Customize it with your family’s favorite veggies. if you love egg rolls, you will want to keep these in your freezer at all times. Dice up your favorite veggies and meat and bake to golden perfection. why not have breakfast for dinner? With these breakfast burritos, it’s easy! every child and adult alike will love to dip these chicken tenders in their favorite sauce. These chicken tenders freeze great and un-thaw for a great weeknight meal. these quinoa bites are a great meal idea for babies and toddlers and a delicious snack for teens and adults. dump all the ingredients into a freezer bag and pull out when you are ready to thaw and cook in your slow cooker. this chicken bowl recipe is fast, easy, and 100% customizable. Add more or fewer veggies depending on your taste buds. when reheating these mini turkey meatloaves, take them out of the freezer the night before and place them in the fridge. fill these burritos with scrambled eggs, tomatoes, ham and LOTS of cheese. Dip them in ketchup, ranch or hot sauce. these are perfect for after school munchies, late night snacks or even game day fun. Dip them in marinara sauce and you are good to go. use cheese or meat ravioli in a muffin tin to make these lasagna cups. Who knew lasagna could be even EASIER to make? a great kid-friendly quinoa recipe that is a perfect introduction to quinoa for kids! What are your go-to FREEZER FRIENDLY MEALS FOR SCHOOL DAYS? I love freezer friendly meals. Since there’s only me I like to make a bigger portion and freezing it is the best option for me unless I like eating something for 3 days in a row! I like the variety of the recipes and that I know my family would enjoy them. I will make a list for fall. Thanks for the recipes. I’m always on the lookout for good, simple meals. A lot of good ideas to help fill the freezer with ready made meals for those days you have no time for all the prep work. I definitely need to make some of these freezer meals!